Writer-director Alison McAlpine, director of photography Benjamín Echazarreta, visual-effects cinematographer Mathieu Laverdière and visual-effects supervisor Philippe Toupin discuss the making of this award-winning documentary. All images courtesy of the filmmakers. 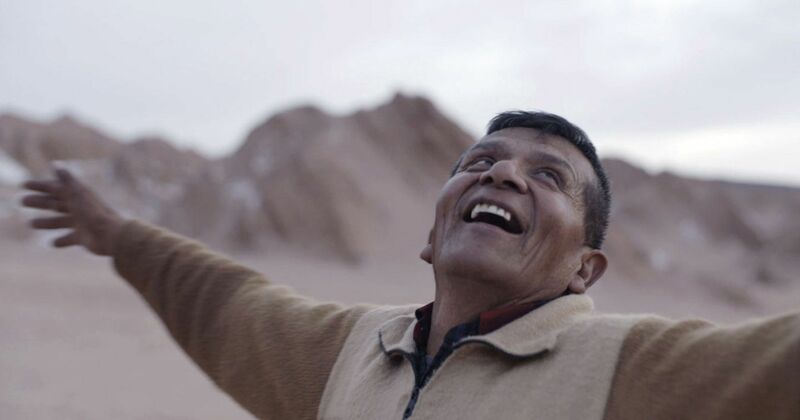 Editor’s note: The documentary Cielo is a visual tone poem about humankind’s relationship with the night sky, a philosophical exploration of the heavens above the Andes Mountains and the Atacama Desert in northern Chile. Written, directed and produced by Alison McAlpine, and shot by Benjamín Echazarreta, this contemplative and richly visualized astronomy doc combines incredible landscapes with celestial perspectives that encourage the audience to ponder its place amid the grand shrine of the cosmos. 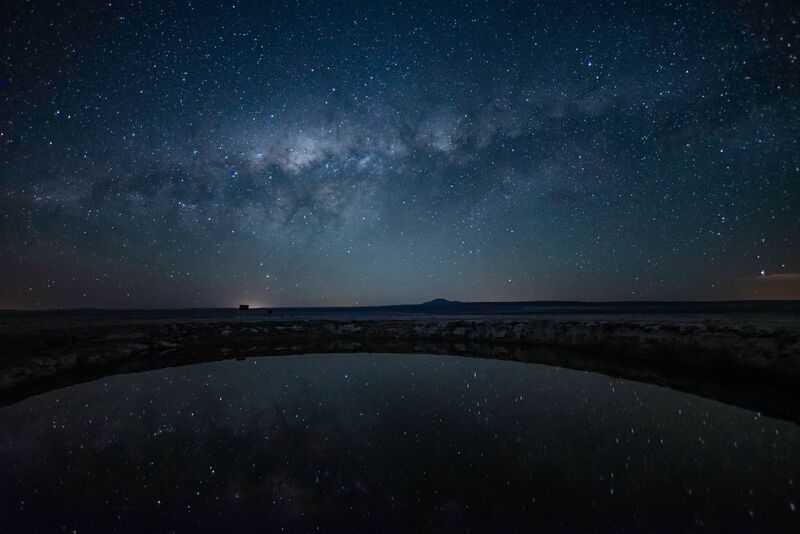 CIELO presents a philosophical exploration of the night sky visible above the Las Campanas Observatory (pictured here) and the surrounding Atacama Desert in Chile. Alison McAlpine: How could we capture the experience, the crazy beauty of these night skies, allowing the viewer time to enter the images? What a challenge! Remember when we first met and I told you about my vision of the film? You were just finishing [writer-director Niles Atallah’s feature] Rey, and you suggested we use the Sony a7S [full-frame mirrorless camera] you’d been filming with. Benjamín Echazarreta: Yes. I heard about this very sensitive Sony camera for the first time via a production house in Chile. Then we had the opportunity to test it in Santiago. Someone had a [Nikon] Nikkor lens, f1.4, and we projected the images; we realized that with moonlight [as the primary light source] we could film well at 12,800 ASA. When you spoke about filming the sky and filming at night, I thought of my experiences with this camera. Using the Atomos Shogun [monitor and recorder], we were able to film in ProRes HQ, in 4K. The footage matched well with the Sony FS7 we used by day, and we were able to film in log with both. [The FS7 recorded to 128GB Sony XQD memory cards.] The small Sony a7S was mostly for night shooting. There was no worry about format or the continuity of the look. Cinematographer Benjamín Echazarreta (right) and sound recordist Rodrigo Salvatierra at work in Catarpe, in the Atacama Desert. McAlpine: We were using an odd assortment of photo lenses, mostly the 55mm Zeiss Otus and the 35mm Sigma [both f1.4]. Echazarreta: Two of our best lenses, for sure. Both Nikon-mount, with the Novoflex adapter for both cameras. But there was a great inconvenience: One lens had infinity in one direction, the other in the opposite! So going from one lens to the next, each time you had to remind yourself so as to not mess up focus. McAlpine: Poor you — I remember! We filmed the scene with [local algae collectors] Lilian [Rojas] and Casiano [Ardiles] about gravity; the scene unfolded so wonderfully, but you said to me later, quietly, ‘I’m not sure I got that,’ because you’d had to quickly change lenses. Echazarreta: We had some luck in that scene. There are miraculous things that happen now and again in documentary. Lili was sitting right beside a little hole in her wall, so that when she turned towards you, towards the camera, she was lit up. It was lovely. And Casiano was behind, beside the window. So there were these moments, which happened a bit by chance. There were some difficulties filming with the a7S at night. Without moonlight, we were screwed. But we found other solutions. For example, with Raúl [Adriazola], the miner in the tunnel, his little gas lantern was magnificent. 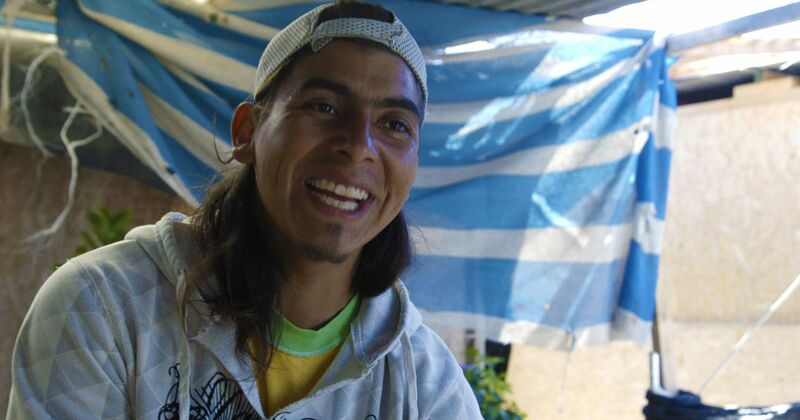 McAlpine: How about when we filmed Roberto [Garcia, a storyteller] by candlelight? 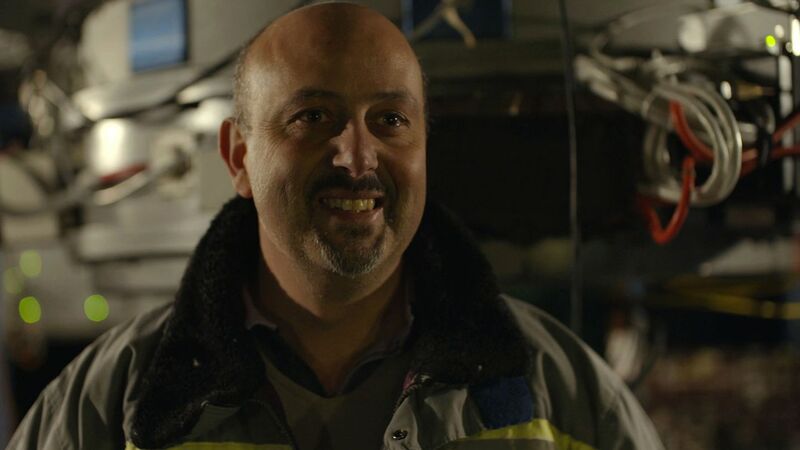 Echazarreta: Again, with the a7S we had the possibility of filming with very little light. There was no electricity there, so we used one candle on the table near Roberto, and we put several candles outside the frame. 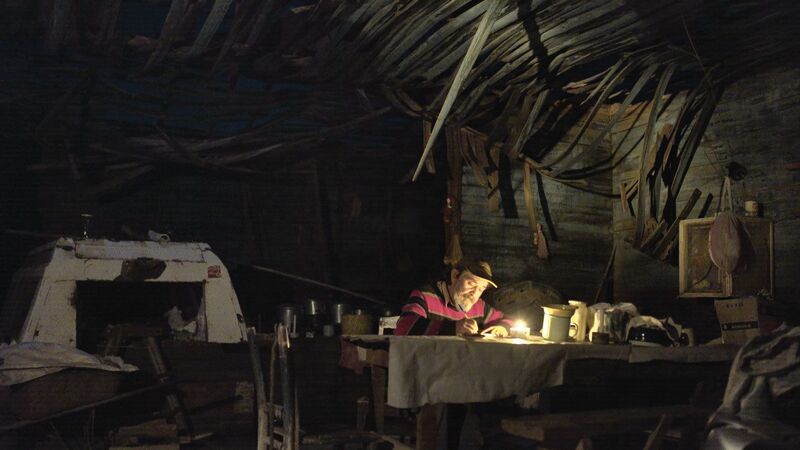 It was something we repeated with Raúl when we filmed the sequence at night as he wrote his marvelous poem! 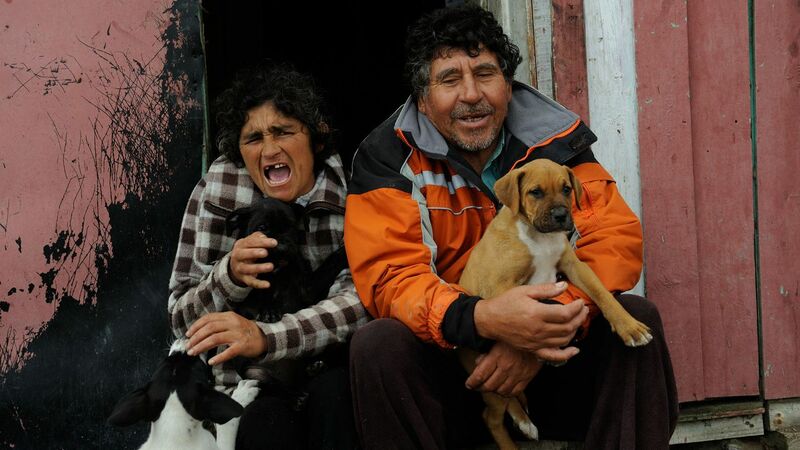 Row 1, left: Mercedes López-Morales and Néstor Espinoza, planet hunters, Las Campanas Observatory (LCO); right: Casiano Ardiles and Lilian Rojas, algae collectors, Los Pozos, Huasco. Row 2, left: Jorge Rojas, young man cooking, algae collector, Los Pozos, Huasco; right: Mario Salas, photographer of UFOS, Requeña, Huasco. Row 3, left: Cipriano Castillo and Gabriel Castillo, cowboys, Andes, Elqui Valley; right: Raúl Adriazola, miner, Inca de Oro. Row 4, left: Roberto Garcia, storyteller, man who flies, Catarpe; right: Francisco Pepe, planet hunter who sings, La Silla Observatory (ESO). Row 5, left: Stéphane Udry, planet hunter, La Silla Observatory (ESO); right: La Silla Observatory celebration (ESO). McAlpine: There was one scene I wasn’t convinced was going to work, because we were always looking for a beautiful natural light. 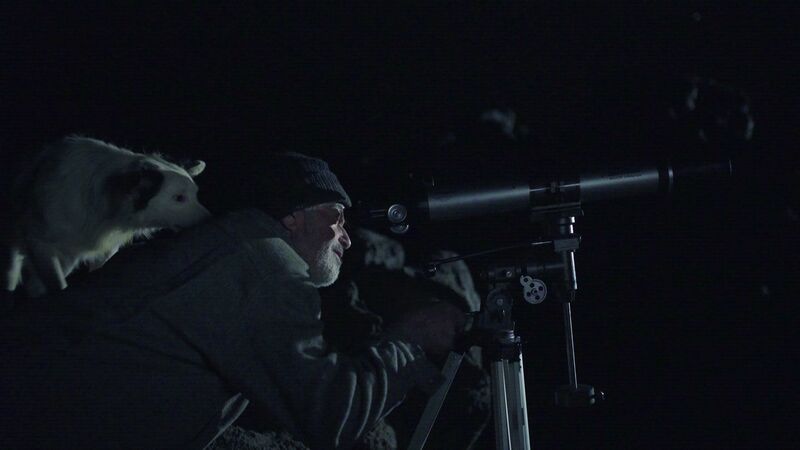 We filmed Mario [Salas Schered, a UFO photographer] at night with his telescope, and it was the first time in the film that we used artificial light this way — but it works well. Echazarreta: We used a 1-by-1-foot bi-color LED panel with a Switronix battery, but it was a long way away from Mario — that little a7S camera is so sensitive. The light from the LCD screen on Mario’s little camera lit up his face; the image became natural because the artificial light we directed towards the scene was weak in comparison to the light from Mario’s camera. We created a fantastic universe: Mario in the middle of his boat, on top of the desolate rocks, with his telescope. It’s dreamlike and beautiful. McAlpine: That is how I first met Mario. I was lost, walking in that desolate landscape, and I came upon him cleaning his telescope with a household feather duster. He was in this otherworldly landscape telling me about his sightings of UFOs, showing me the evidence in his photographs. It was wonderfully surreal. Echazarreta: Ah, the Chinese lanterns. Yes, to make the light a little less hard. We simply bought the Chinese lanterns and put them in your suitcase with some light bulbs and a dimmer, and we lit the scenes in the observatories. I remember Stéphane [Udry, a planet hunter at La Silla Observatory] posing the question to me, ‘Is there nothing more modern you could use?’ It was a bit elementary, it’s true, but it worked. With the film I am working on now, we are in the paradise of LEDs — we have everything. McAlpine: And when we were filming characters watching the stars, we used our homemade reflector. Equally low-tech. Echazarreta: Yes, we had a large piece of Styrofoam with Rosco silver taped down, and we used the reflection of the moon to shine a bit of light on eyes, an expression, a face. McAlpine: We often talked about how to film in a way that is raw, that goes directly to the gut. There was so much beauty around us, but we didn’t want anything remotely ‘picture postcardy’ or clever. 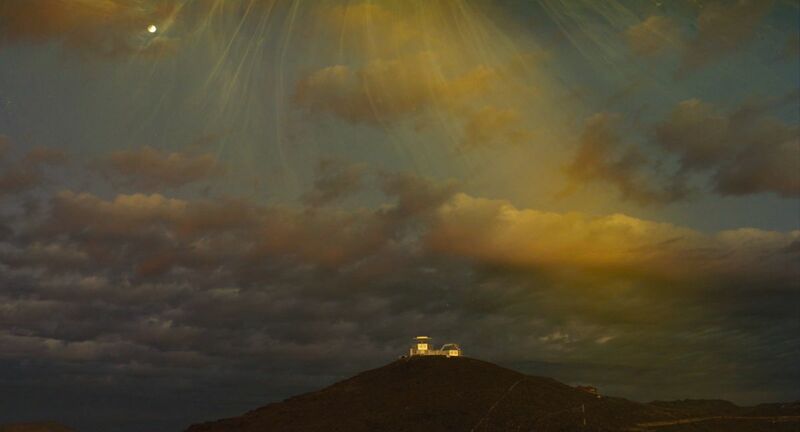 I remember filming the clouds at sunset in La Silla Observatory; we were looking at the Shogun screen together, trying to find a frame that felt somehow fresh and alive. There were these extraordinary clouds everywhere, a gorgeous post-sunset light, and the telescopes were starting to move. Echazarreta: It’s not evident, how not to fall into the very cliché. We had landscapes that were fabulous and skies that were so often sumptuous, and so the question presented itself: How do you film this? Perhaps it was just asking this question that inspired us. McAlpine: Remember our very first time-lapses? It was June, winter in the northern Atacama Desert. 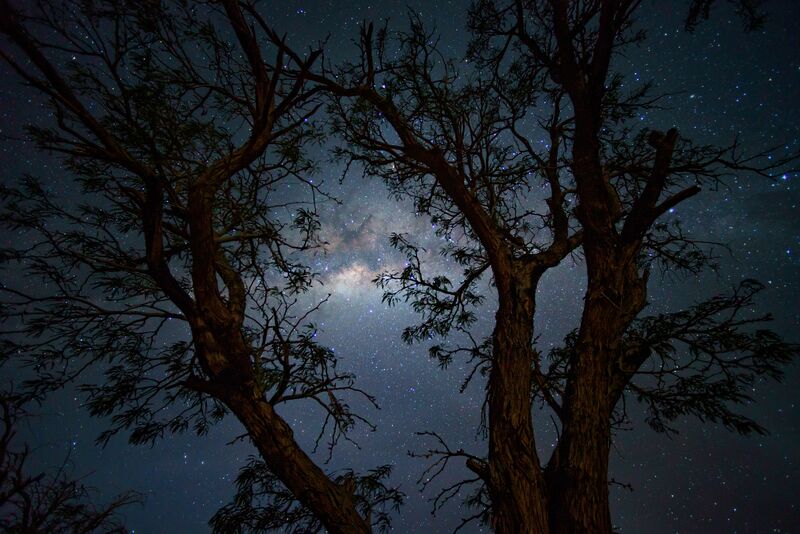 We were asking ourselves, ‘How can we possibly capture the depth and limitless beauty of this night sky within a picture frame?’ We hardly slept for three days. It was crazy-cold! Echazarreta: We lived in that car! We experimented with movement. We used pans — a simple motion-control system [the EMotimo TB3] — and we talked a lot about lenses and the different colors each lens gave us. ‘How wide should we go?’ or, ‘Do we try to capture just part of the sky?’ We first experimented with an old Nikon 14mm [f2.8] and the Rokinon 24mm [f1.4]. McAlpine: Later we mostly used the 20mm Sigma, f1.4. It really became about finding the rhythm. Echazarreta: And when best to shoot the stars. Did we want the moon or moonlight in the frame? Or did we want the transition from the moon disappearing to a dark sky full of stars? McAlpine: We were shooting mostly five to seven days before or after the new moon. [Astro-photographer] Babak Tafreshi was a brilliant consultant. An early experiment with the production's time-lapse rig. McAlpine: We also experimented with juxtapositions: the majesty of the limitless sky vis-à-vis an intimate shot of cracked desert earth or a tiny branch struggling in the desert wind. Echazarreta: When you experience a landscape that is hauntingly beautiful, full of color and grandeur, it moves you, draws you in, whoever you are — filmmaker, spectator, photographer. You say, ‘We must capture this and show it to the world!’ The challenge is to do justice to this gorgeous immensity within the confines of a cinema screen. Perhaps what is even more striking is to reveal the infinity of small worlds, and to enlarge these worlds on a screen. All of a sudden they take on another dimension. It is like putting a microscope over a miniature world. 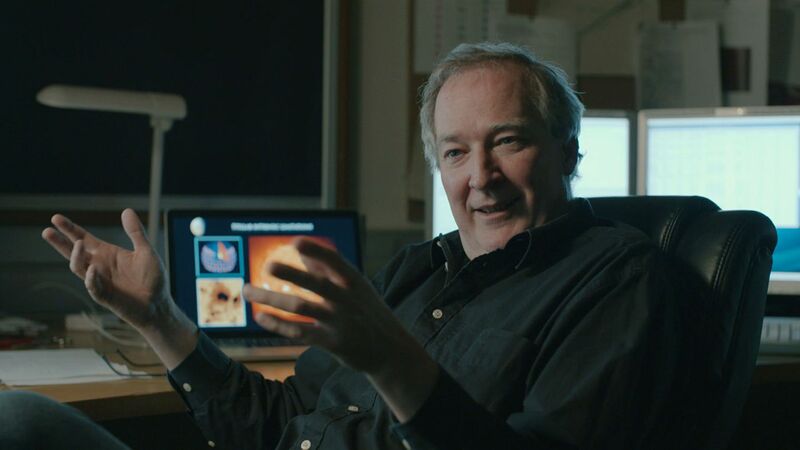 McAlpine: It’s what we did with the organic effects, when we filmed macro moments [with the Vision Research Phantom Veo4K camera, with Zeiss Milvus f2 lenses], like dust falling at 2,000 frames per second. Miniature worlds appeared like dreams. I loved that shoot. I remember how I first approached camera and Steadicam operator Frédéric Chamberland. I asked him with innocence — and cheekiness — if we could use his Phantom camera and his studio to realize various organic effects. What a gift: He said yes! He gave me his camera, his studio, his lenses, his time as a camera operator, and so many tips, too. It was the dead of winter in Montreal. We had no budget. I watched Doug Trumbull’s Vimeo about creating organic effects, and then, along with Frédéric, I recruited Mathieu and Philippe, as well as Alex Storm, our assistant. Mathieu and Philippe, what was exciting to you about the shoot? Mathieu Laverdière: How we re-created a world on a tiny scale with light and natural ingredients. Philippe Toupin: We discovered things we can’t see. We had all the setups based on what you wanted, then we experimented. McAlpine: I remember the previsualizations you created, Philippe. The setup we used most was when the Phantom was on the ground, underneath and pointing up to our cloud tank, and one of us was above the tank, standing high up on a ladder, dropping each ingredient on the glass. Laverdière: Paint, ink, milk, earth, water, oil. It was bricolage. The trick was not to use too much water. One of the movie's in-camera "organic" effects. McAlpine: I was nervous that our homemade cloud tank would break and everything would spill onto Frédéric’s Phantom! Laverdière: Each setup demanded so much light given the high speed. I had to put the lights so very close. I, too, wondered if the glass was going to break! Toupin: Maybe that was the most unique setup, filming the water, the colors appearing and transforming, filming everything from below. Usually the camera is placed on the side of the tank. McAlpine: And remember the eclipse sequence? Our last ‘planet’ melted a bit with the lights. We had no time to make a spare, so I had to imagine a crater impact! Echazarreta: He used a Fuji 3521 film-emulation LUT for P3 color space. There was a bit of cyan in the low-light imagery. The stars and the whole film took on a more filmic look. McAlpine: We wanted the details that digital can bring without the ‘electronic’ feel. We wanted to create texture. For more information about Cielo, visit cielo-thefilm.com. 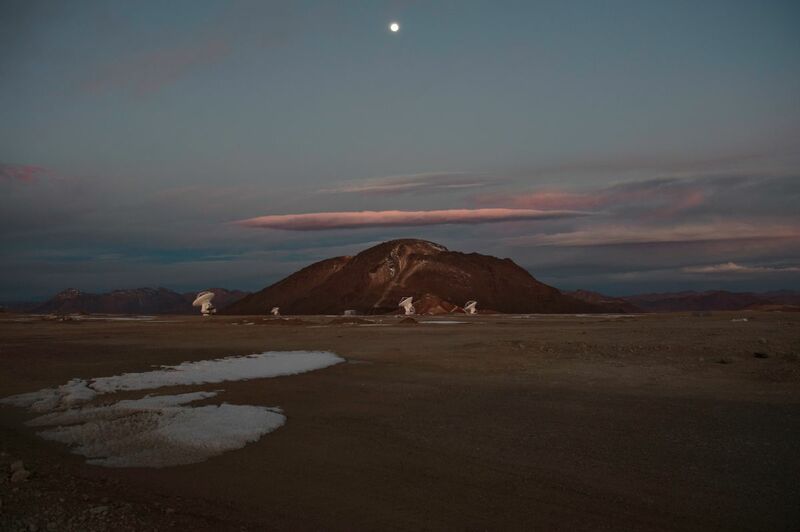 The Atacama Large Millimeter Array (ALMA).